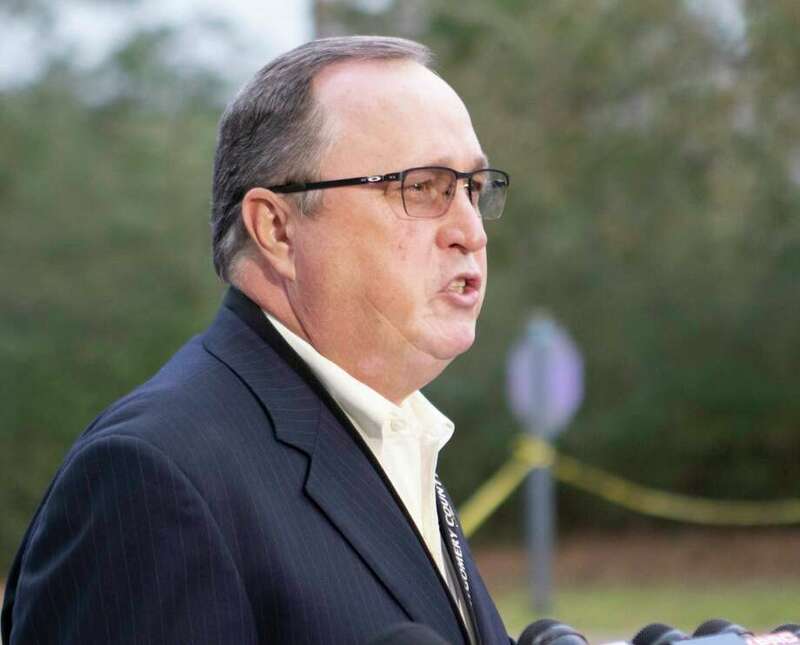 Montgomery County Sheriff’s Office captain Tim Holifield updates media as officials investigate a shooting Friday, March 8, 2019 at the Millside Building in The Woodlands. Two people are dead in a workplace shooting in The Woodlands on Friday, Montgomery County Sheriff’s Office officials confirmed. Deputies were called to an office building at the 2100 block of Buckthorne Place, responding to reports of an active shooter. When they arrived on scene, deputies found one person dead from an apparent gunshot wound. A second victim suffered blunt force trauma and was rushed to Memorial Hermann The Woodlands for treatment. Officials with the Montgomery County Hospital District say a deadly, fiery crash near the shooting is possibly related. Deputies are asking the public to stay indoors and away from the area. Heather Byrd worked on the second floor of the building where incident occurred around 4 p.m.
Byrd said she did not hear any gunshots. “There is also a secondary scene that appears to be related to this scene that is a car crash,” Sheriff’s Office Captain Tim Holifield said. The suspect is thought to have fled south from the primary scene on Grogan’s Mill Road and crashed the car about a half-mile away. The driver, suspected to be the shooter, died at the scene. Byrd said law enforcement officials made her and others feel safe, and the evacuation was orderly and quick.